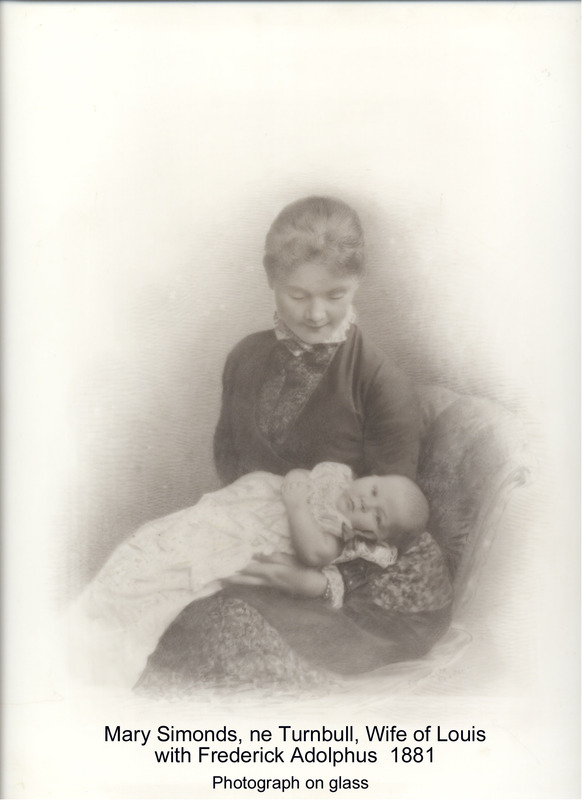 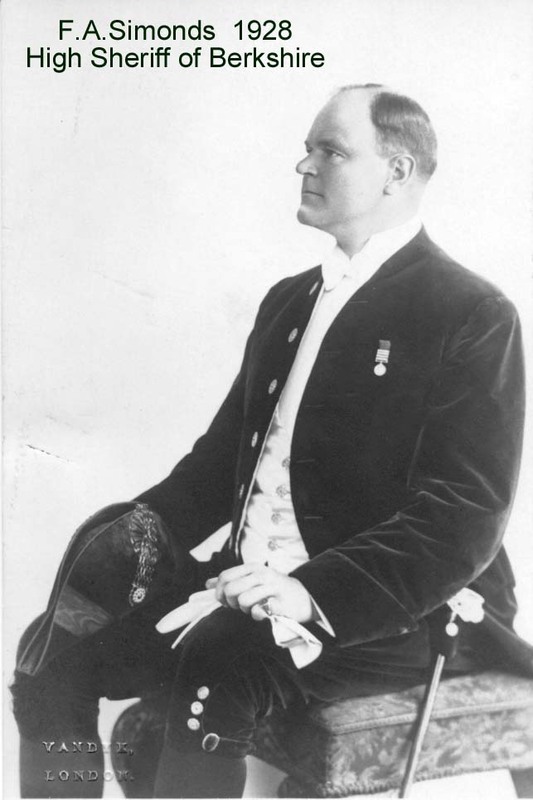 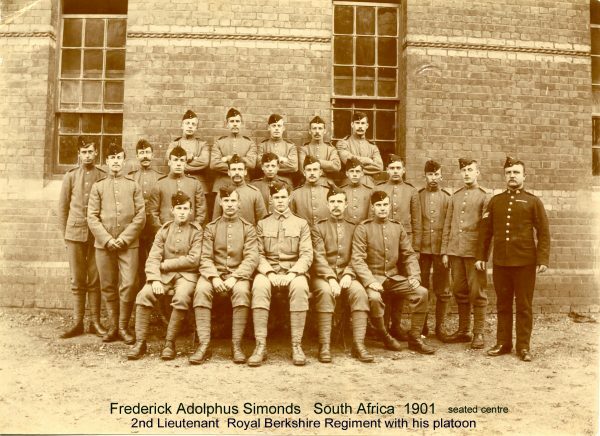 Frederick Adolphus (Eric) Simonds (1881-1953) was the first of five gifted children to Louis de Luze Simonds and his wife Mary. 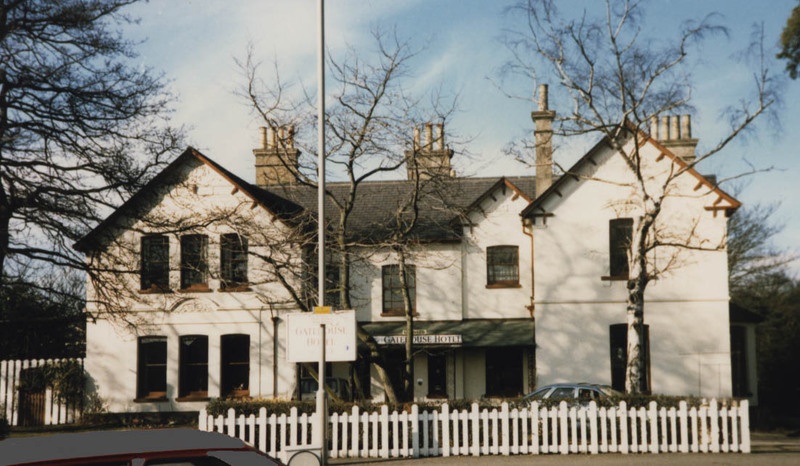 He was born ‘during a blizzard’ at the their family home, ‘The Point’, latterly The Gate House Hotel on the Basingstoke Road outside Reading, that was named after the US family’s summer home on Long Island. They moved to Audleys Wood in 1901. 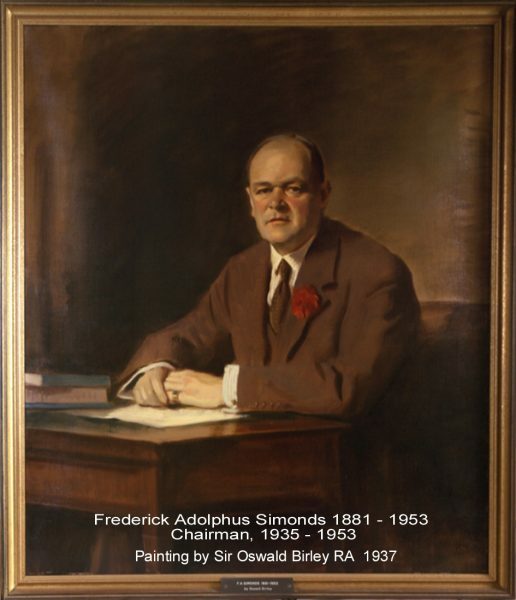 He led the business through troubled times like the General Strike of 1926 and WW2. When he became a Director in 1916 the firm had 1 Brewery & 300 pubs. At his Jubilee, 50 years later in 1952, they celebrated 4 breweries and 1,400 licenced properties, with businesses in Malta, Gibraltar and Kenya. 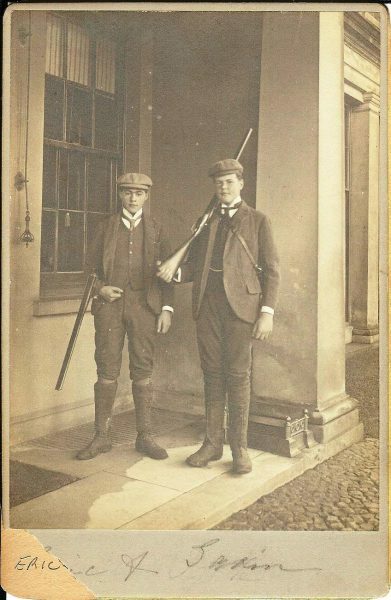 He died soon after. 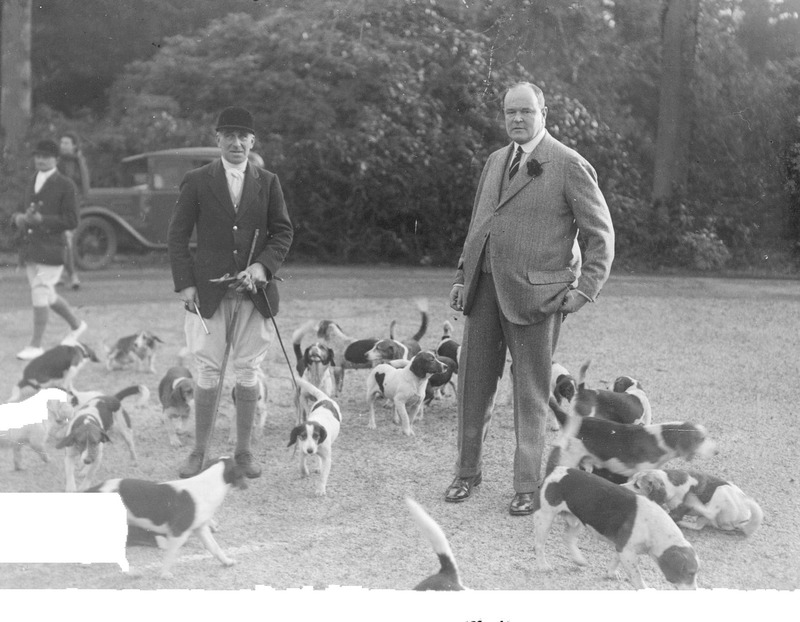 Bizarrely by today’s standards, he never learned to drive! as a result, on May 24th 1898 he was despatched to London and records in a letter home that he had a ‘record time’ marching and acting as a first aid attendant in Dean’s Yard, Westminster, during the State Funeral of William Gladstone (1809-1898) Prime Minister three times between 1868 & 1886. 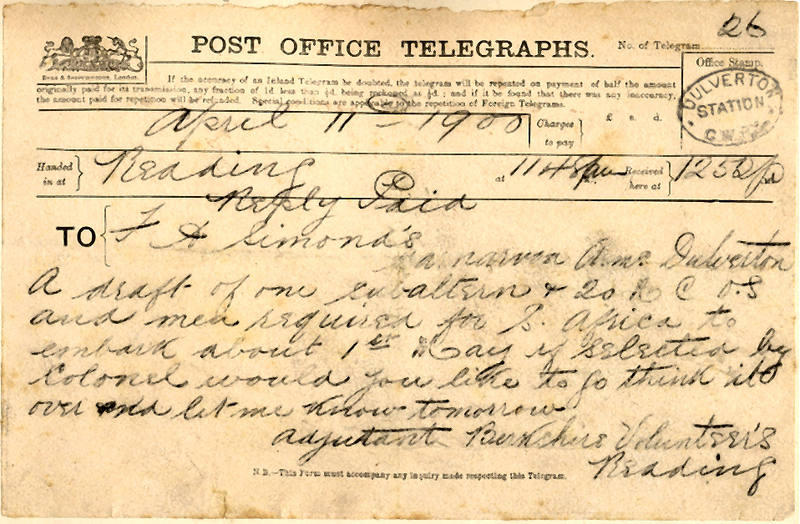 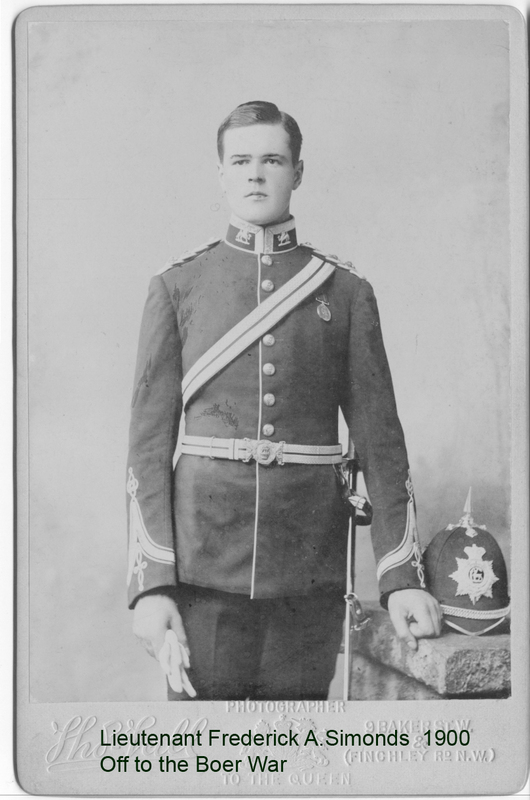 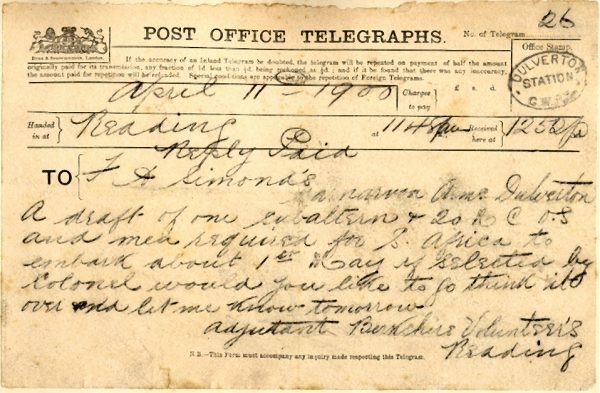 He left South Africa having attained the rank of Captain on 20th May 1901 on the ‘Avondale Castle’. The returning hero’s carriage was met at the decorated front gates of Audleys Wood, unhitched and drawn up the drive by family and staff. 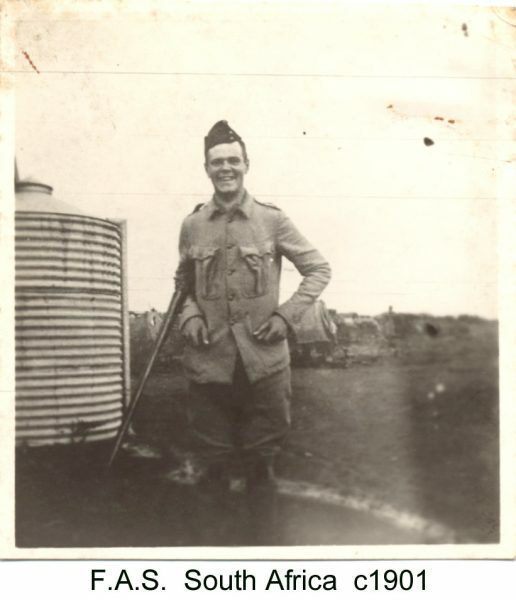 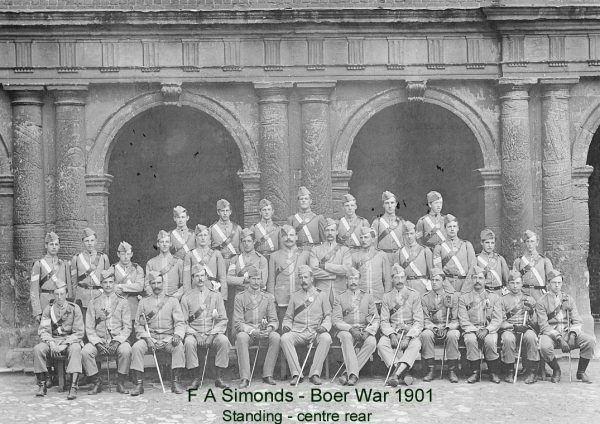 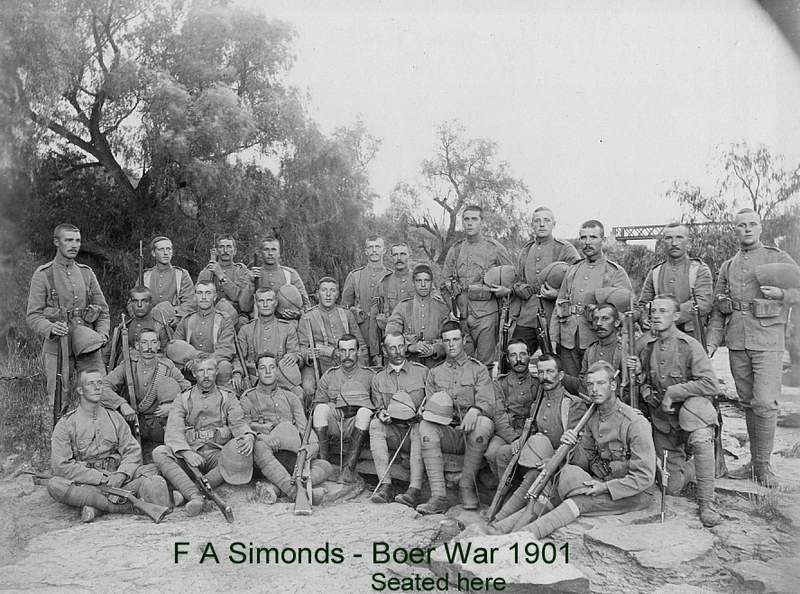 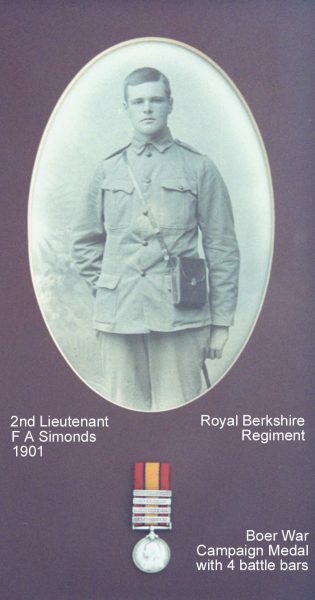 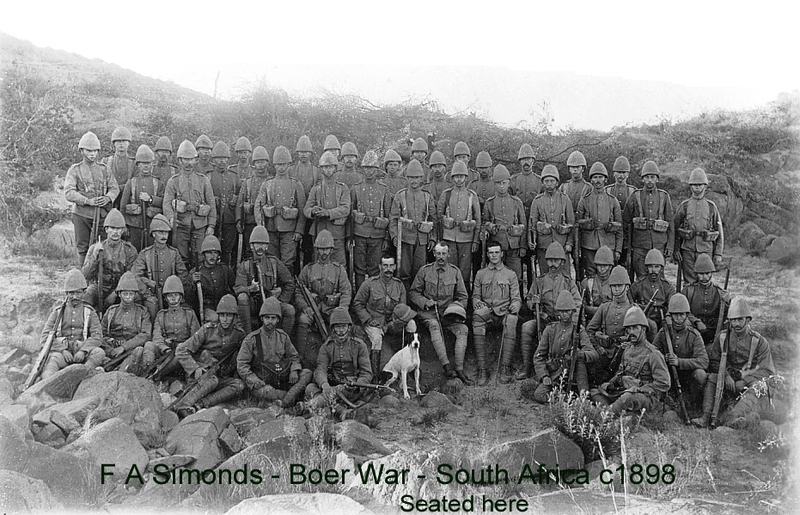 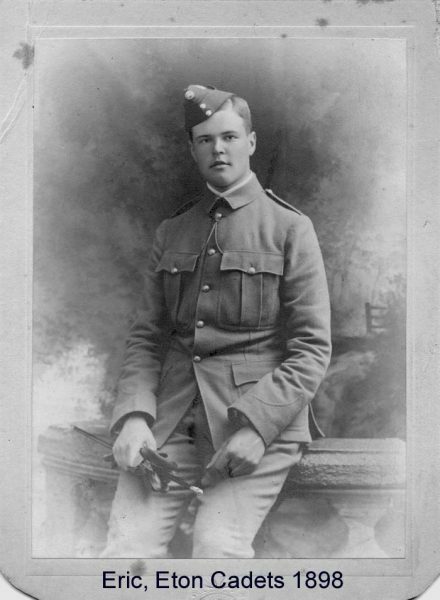 He was not the only Simonds in South Africa, also fighting were Maj Cecil Barrow Simonds, RGA returning in 1902 and Charles Francis Simonds. 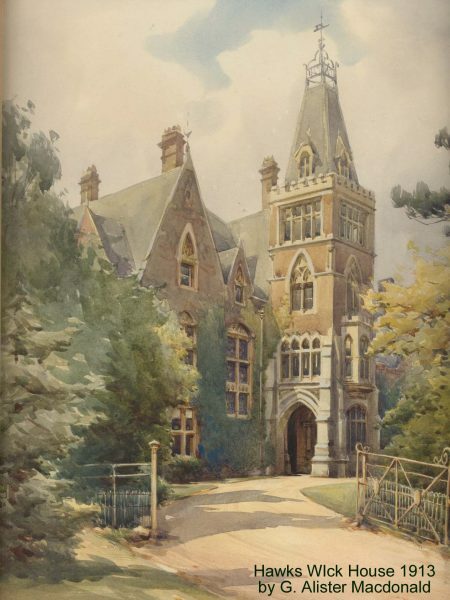 On his return, he decided that reading Chemistry at Oxford was not the best preparation for his intended career in brewing, so persuaded his father to allow him to start immediately as a trainee in 1902, rising quickly to become a Director on 1905, Managing Director in in 1916 and Chairman in1938. 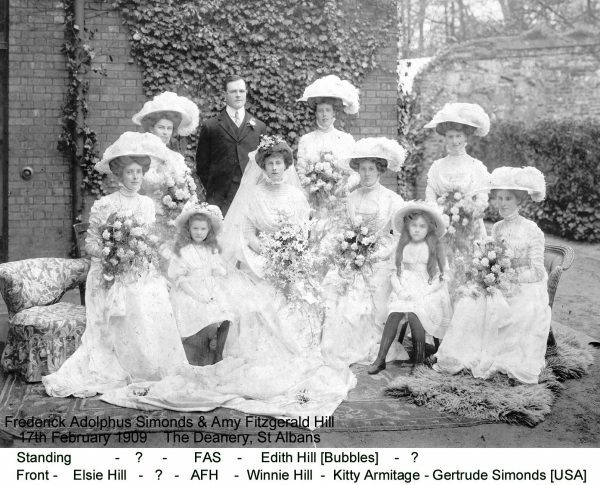 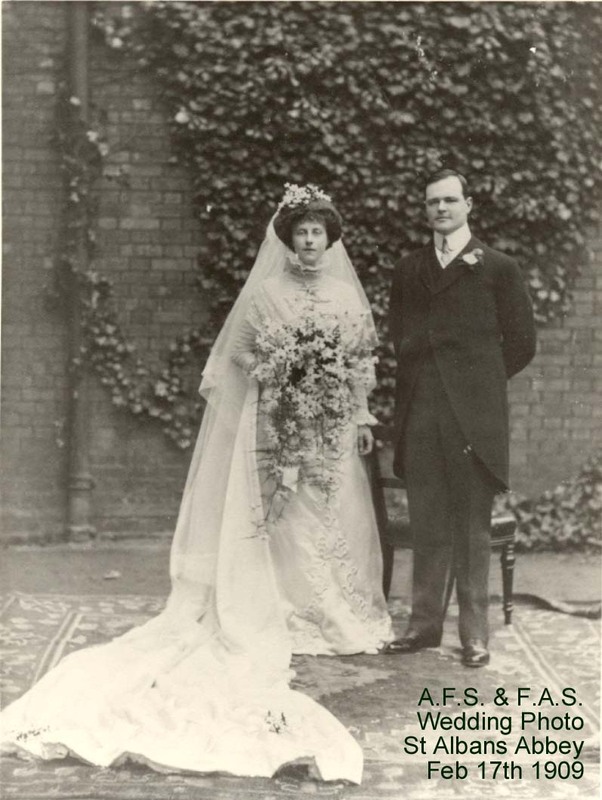 On February 17th 1909 he married Amy FitzGerald Hill (1883-1969) daughter of John Sheriff Hill (1836-1897) in St Albans Abbey, which was close to their magnificent family home at Hawkswick House. 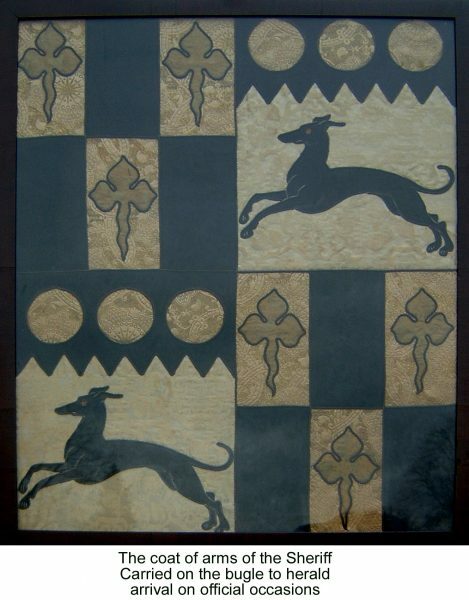 This is the embroidered Coat of Arms that was carried before him on the more formal occasions. 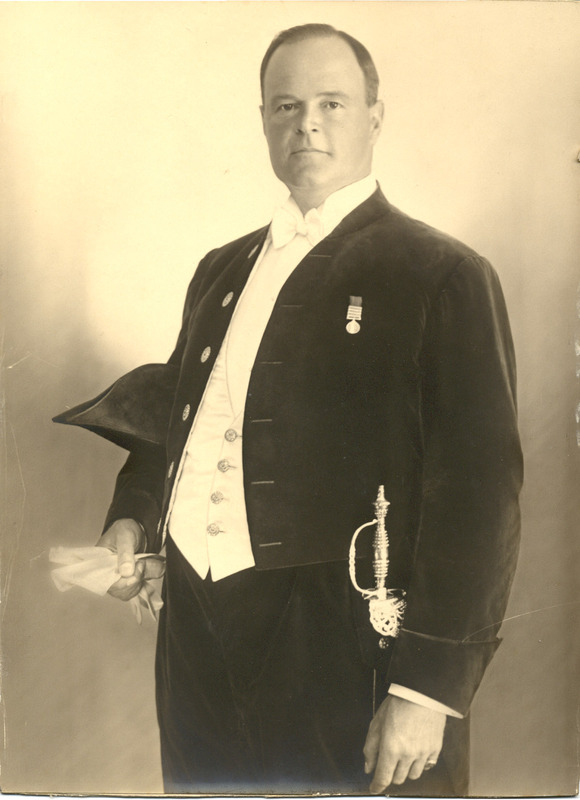 In 1937 FA Simonds was elected President of the Royal Warrant Holders Association and again for a second time in 1945. 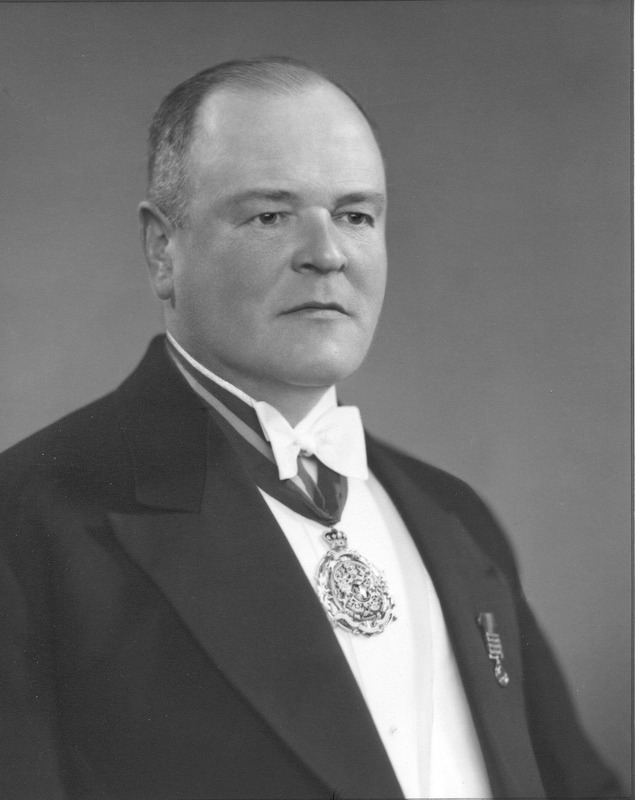 His son Duncan Simonds (1917-2002) was also President in 1963. 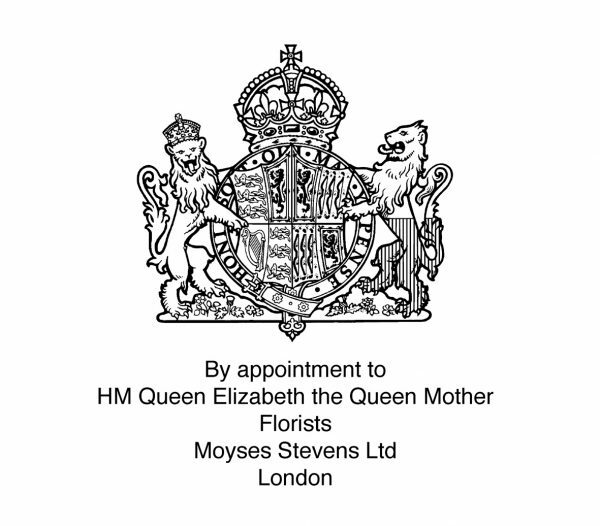 The Royal Warrant is personal to the ‘Grantee’ and it is unusual, if not unique, for a husband and wife to be grantees to the same reigning monarch at the same time. 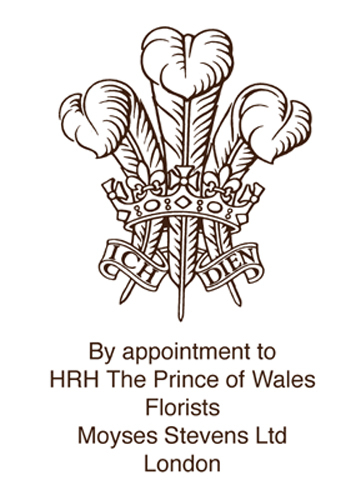 Duncan’s wife Monica Simonds was grantee for Moyses Stevens florists during the period that she was Managing Director from 1963 to 1983 when the family business was sold. These are two of the crests showing Moyses Stevens Warrants from that period. Eric was a keen sportsman. 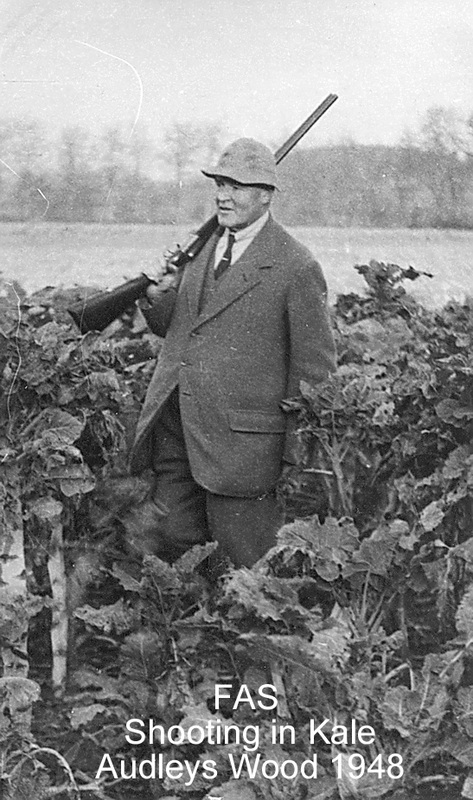 He and his family followed typical country pursuits of hunting, fishing & shooting. His main hobby was horse racing. He used this interest to promote the Simonds brand and as a result, almost all the courses sold Simonds beer. Simonds developed a novel way to dispense draft beer – direct from the tanker! 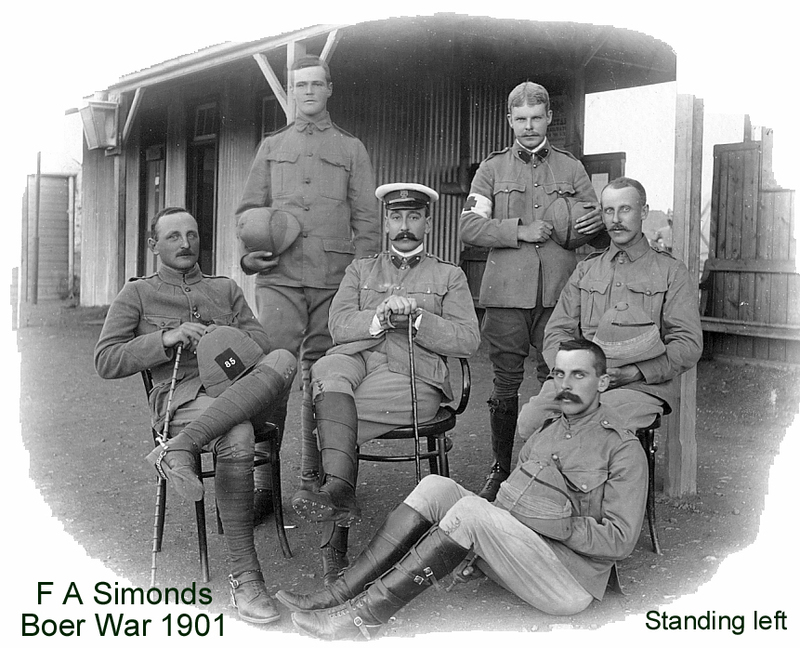 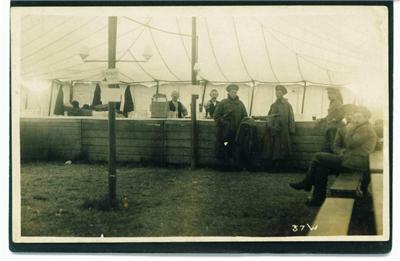 H&G Simonds probably sponsored the first commercially sponsored horse race. 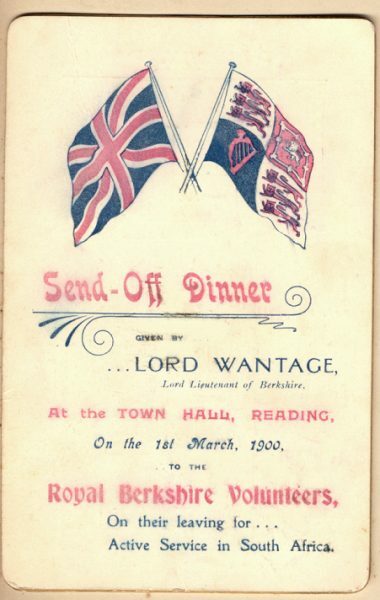 This from the family archive: “As the dominant supplier of beers to racecourses, certainly throughout the South of England, we instituted a sponsored race, which may have been the very first of its kind. Known as The Hop Leaf Handicap it was raced over a mile and a half. 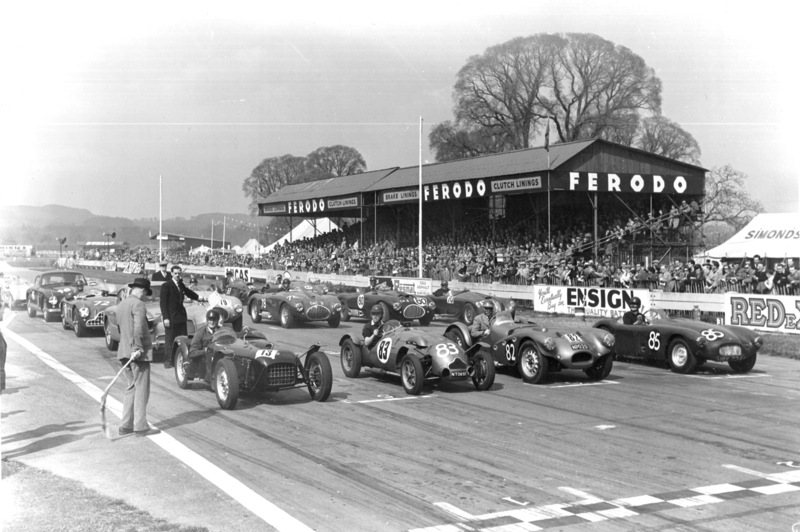 It was first run on 24th September 1947 at Windsor Races, where it was recorded as the ‘Principal Race’. 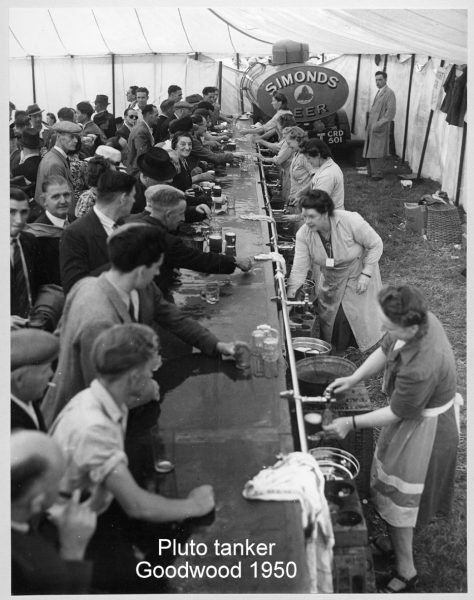 The sponsorship was (incredibly in these days) one hundred guineas, plus 2 cases of strong ale.” The 1953 race was televised by the BBC. He took an annual holiday in Evian, staying for three weeks each August. 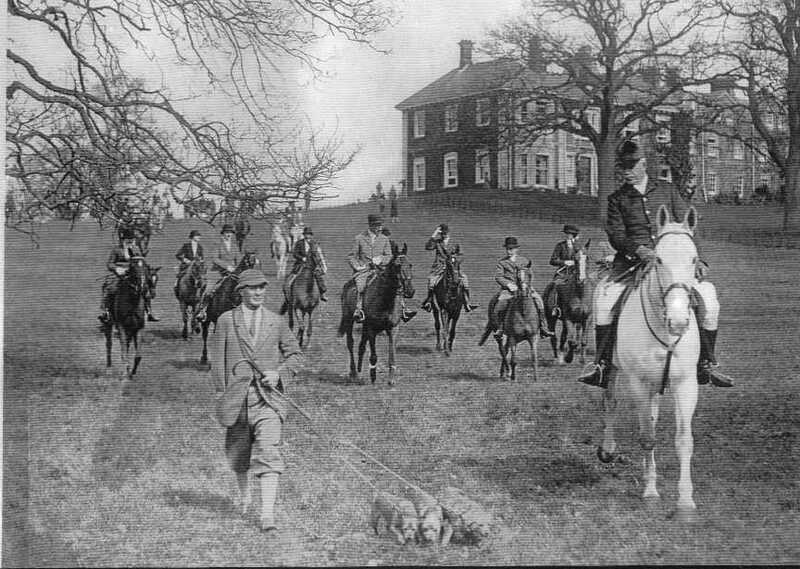 He often went alone, to take the local ‘cure’, walk, take the waters and doubtless also make visits to local entertainment like the casino. Strangely to some, he never learned to drive, employing a chauffeur called Mr Benham for many years, who shared his passion for the horses.